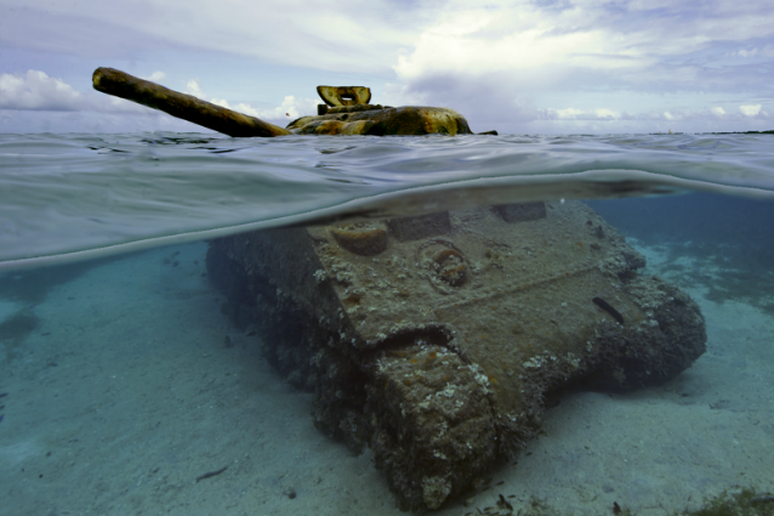 An American WWII M4 Sherman tank rests silently in the shallows of Tanapag Lagoon, Saipan. Photo by Brett Seymour, NPS Submerged Resources Center. 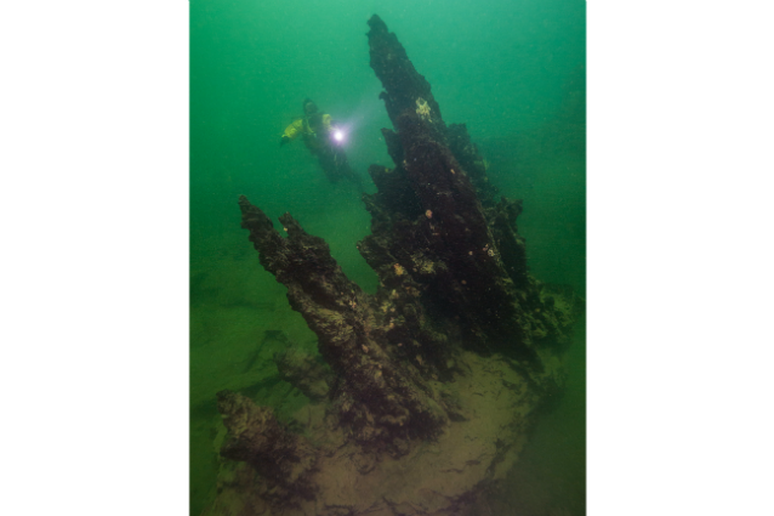 An NPS Diver examines dormant geothermal spires in Yellowstone Lake believed by geologists to be 11-13,000 years old. 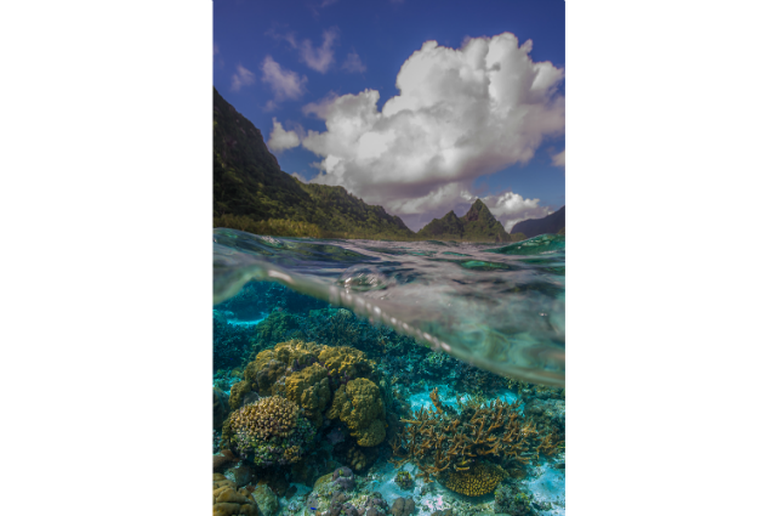 The vibrant reef lies just inches below the surface at Ofu Beach, American Samoa. 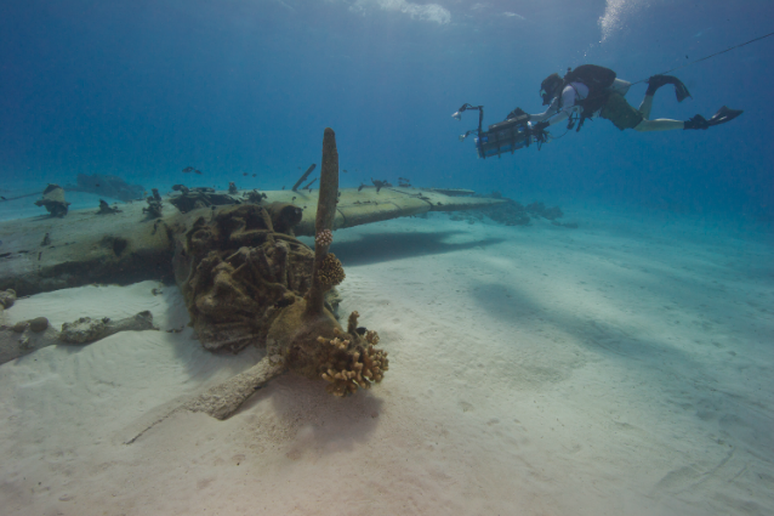 NPS Photographer Brett Seymour films a Japanese Aichi E13A WWII torpedo bomber, also know as a “Jake”, in Tanapag Lagoon, Saipan. Photo by Louis Lamar, Woods Hole Oceanographic Institution. 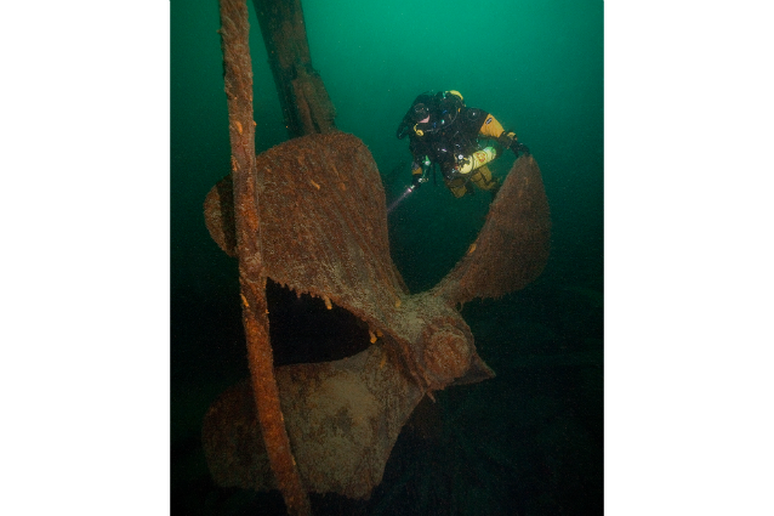 NPS Archeologist Dave Conlin explores the prop of the SS Henry Chisholm resting at 145’ in the frigid waters of Lake Superior. 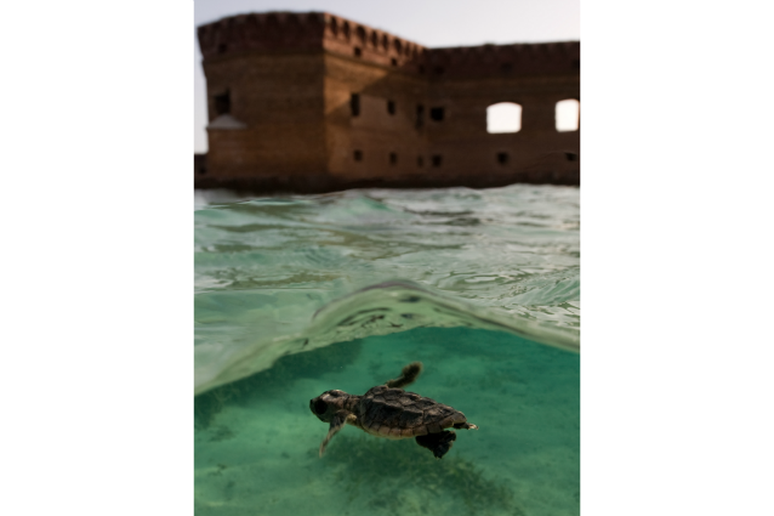 A baby loggerhead hatchling struggles for open water in the shadow of Fort Jefferson. 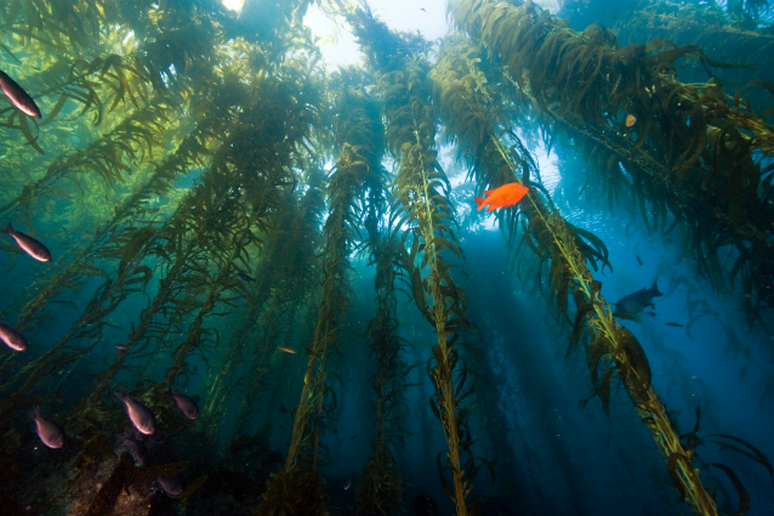 The vivid garibaldi swims among the kelp forest off Anacapa Island. 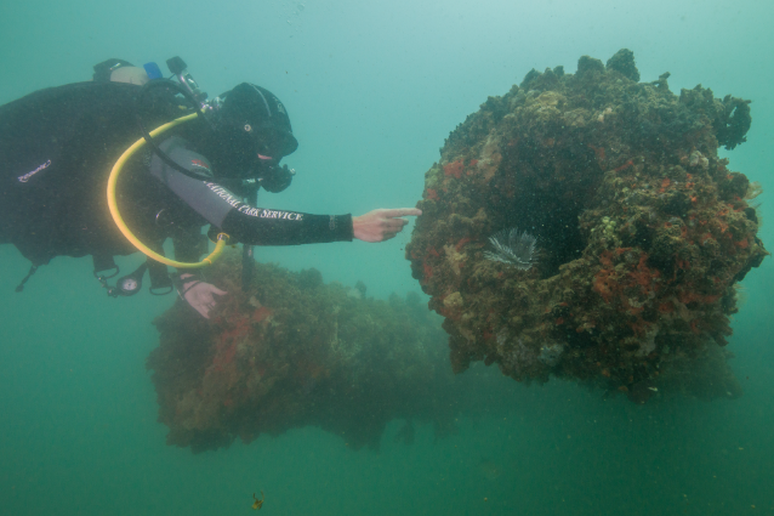 NPS Diver Susanna Pershern investigates the 14” guns of the USS Arizona, Pearl Harbor Hawaii.